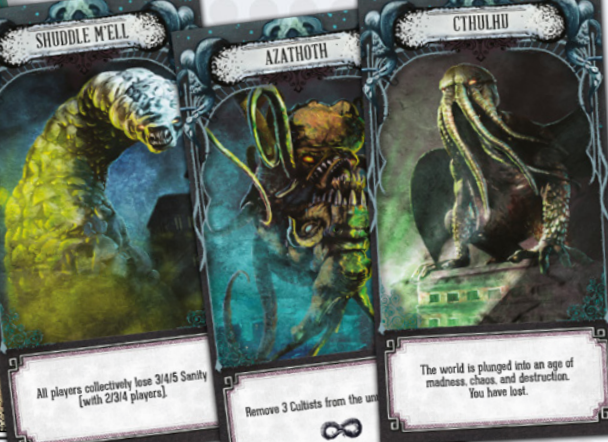 Pandemic: Reign of Cthulhu takes the core mechanics of the hugely popular board game and blends it with H.P. Lovecraft's Cthulhu mythos. 2015's Pandemic: Legacy saw each of us writing in permanent marker on the board, tearing up game components, and finding secret, amazing gifts from a benevolent game designer patron waiting for us behind door number eight. That emotional rollercoaster may have only served to get us ready for the horrors of the upcoming Pandemic: Reign of Cthulhu. 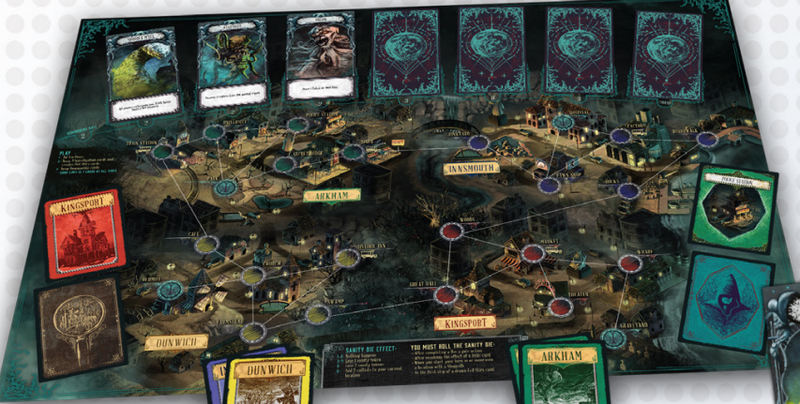 It isn't an expansion, and don't call it a reskin: Reign takes the core mechanics of the original game, which first hit shelves in 2008, and spins it with a Lovecraft twist. You aren't scientists curing diseases, anymore; instead, you are investigators sealing portals and shutting down cults along the New England coast. For those of you who haven't played the ubiquitous original, Pandemic sees players cooperatively racing to collect cards and develop cures to four diseases wreaking havoc around the globe. Each turn, cards are drawn from a deck that has you placing disease cubes onto certain locales. When a location has more cubes than it can handle, extras spill over into neighboring regions, and sometimes those regions outbreak into still more places and oh look you've lost thanks for playing. 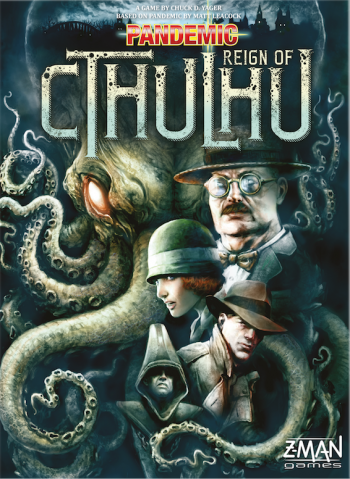 Details are scant on Cthulhu for now, except that we know Matt Leacock, designer of Pandemic, had some input on the game but it is primarily developed by Chuck Yager (not the Air Force test pilot, I have checked). Multiple Great Old Ones are bound to appear in the game, and the focus is a little more local. No longer dividing the world into continents and their respective horrible diseases, you'll be fighting to save Arkham, Dunwich, Kingsport, and Innsmouth from... well, usually themselves, really. 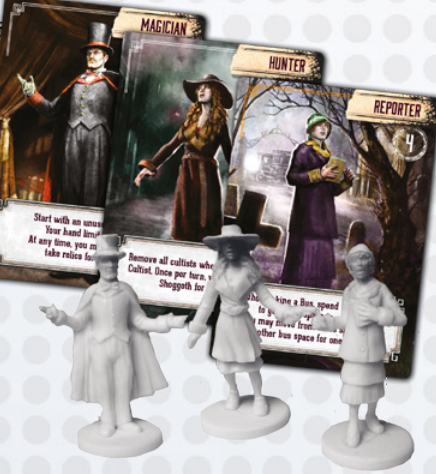 Yager and Leacock clearly love crafting board games and there's no doubt this will be a hit; whether a gamer would get both Pandemics remains to be seen. Then again, I'm only a few months into Legacy's campaign. Everything's going well and I'm sure it'll be smooth sailing to December! Now I'll just flip this card and oh no Montreal is on fire.